VIVA PALESTINA HUMANITARIAN AID CONVOY NEEDS YOU NOW! Over 500 people from 20 countries, in 250 vehicles loaded with Humanitarian Aid, are left stranded in Aqaba, Jordan, having been refused permission to enter Egypt. From Ireland, 10 volunteers in 2 ambulances, a van, and a truck loaded with Humanitarian Aid are part of this convoy. The convoy is organized by “Viva Palestina”, a charity founded by George Galloway, MP. The Egyptian Government have placed 3 conditions on the convoy if it wants to enter Egypt. 1. We hand all our vehicles and aid over to UNRA. 2. We drive 500 miles back to Syria, and take a 24 hour ferry through the Suez Canal. 3. We have to ask Israel for permission to cross from Egypt to Gaza. All 3 conditions have been flatly rejected by everyone on the convoy, as we want to cross into Gaza and hand our aid over to the Palestinians ourselves. Would you phone Canada to ask permission to enter the US? Would you ask France for permission to go to Germany? For the 1st time, Egypt have now openly admitted that they are under control of Israel/US. What you didn’t know about the War.. The World Bank has refused to accept Indian Occupied Kashmir as an integral part of India and has rather insisted upon a disclaimer from the Jammu and Kashmir government that funding for a project will not be seen as recognition of India’s territorial claim on the state. Published by The Daily Mail of Islamabad and Beijing. 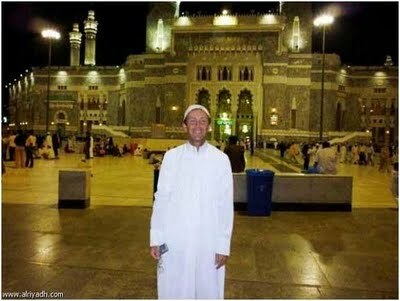 An American millionaire, Mark Shaffer declared his Islam in Saudi Arabia on Saturday, 17th October 2009. Mark was at that time on a holiday in Saudi Arabia to visit some famous cities like Riyadh, Abha and Jeddah for 10 days. In a major policy decision, the government has made it mandatory for the Pakistani missions abroad to issue visas to foreigners intending to visit Pakistan only after their clearance from the country’s top intelligence agency ISI. Well-placed government sources told TheNation on Friday that the move had come after thorough deliberations and in view of the security situation in the country. Sources privy to these developments maintained that the decision had been taken after reports of undesired activities of some foreigners especially, the Americans and foreign journalists. According to the informed sources, the intelligence agencies have taken serious notice of the objectionable activities of some foreign journalists in Gilgit-Baltistan during the recent elections. Five young American Muslims suspected of wanting to join terrorist groups have been arrested in Pakistan. The five students in their early 20s from northern Virginia were detained in the city of Sargodha, 190 kilometers southeast of Islamabad on Monday. They were found in a house belonging to a relative of one of the young men who is believed by police to have links to the outlawed militant group Jaish-e- Muhammad. This group is blamed by police for many terrorist acts, including the 2002 murder of American journalist Daniel Pearl and an attempted assassination of former Pakistan president Pervez Musharraf. Pakistani authorities were on the look-out for the five Americans at the request of the Federal Bureau of Investigation. The families of the five reported them missing in late November after finding a video in which the students urged Muslims to defend Islam. The video was passed to the United States Council on American-Islamic Relations which in turn gave it to the FBI. Two of the students are said to be of Pakistani origin while the others are believed to be of Eritrean, Yemeni and Egyptian descent. All are American citizens. Sarghoda’s police chief, Usman Anwar, said examination of laptop computers found at the house where the five were detained showed they had been in touch with various militant groups in Pakistan since August. If it is found that the five were indeed trying to join terrorist groups it will raise more questions about disenchanted young Muslims in western societies.